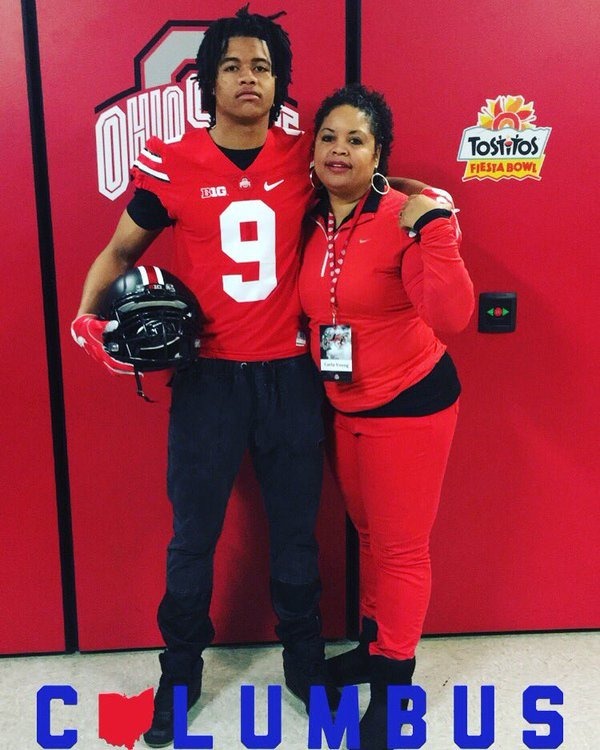 Chase Young, the defensive end, committed during Friday Night Lights at the Ohio State University this past weekend. The Buckeye coaching staff was so excited about Young's decision that they had an all-out celebration with the 225-pound, 6-foot-5 player right on the 50-yard line according to reports. 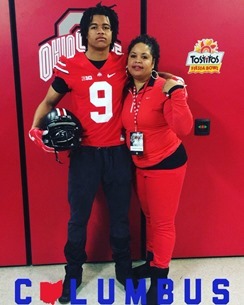 Young's father, Greg Young, did not think that he was going to make a decision for quite some time on the college to attend after high school. In fact, he told the news just that, an hour before Young made his decision. Young quickly announced that he was a Buckeye to all his beloved friends. Greg gave a proud thumbs-up response during the celebration when some people asked if his son had made that commitment. The Buckeyes definitely picked up a top notch prospect in Young. He's already a four-star prospect with a .99 composite rating. He also ranks number one for prospects in Maryland, and he is third for the weak-side DEs in many rankings nationwide. As far as the country's standings, Young is number 28 overall. They broke the mold when they decided to pick up this young champion. Urban Meyer got Young as his number 15 commitment for the class that is already ranked well. Meyer’s class is first in the country for recruiting, and his standing is just spectacular. Young had previously worked with Larry Johnson, the defensive line coach. They had developed a positive working relationship that will continue to shine. Young had been putting in work for many months, and it shows.